For decades, they called it the Bix Bash. 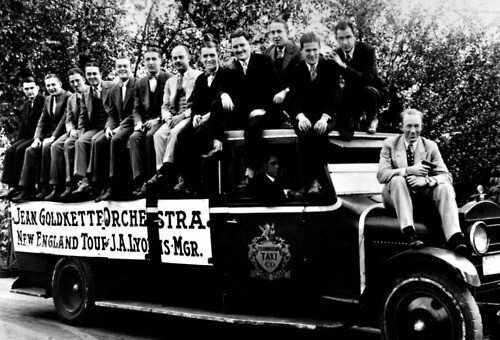 Since its inception in 1966, hundreds of Dixieland fans flocked to Central New York’s yearly multi-band celebrations of the music made by the pioneering 1920s jazz cornetist Bix Beiderbecke. When the Jazz Appreciation Society of Syracuse was formed in 1972, the non-profit organization took over presentation of the annual event. An honored guest attending many of those affairs was Spiegle Willcox, the beloved Cortland, N.Y. trombonist who had played alongside Bix in the brass section of Jean Goldkette’s Graystone Ballroom Orchestra from 1925 to ’27. Following Spiegle’s death at age 96 on Aug. 26, 1999, the JASS Board of Directors decided to memorialize both men. Now, thanks to the tireless efforts of JASS Vice President Burt Dunlap, the Bix Beiderbecke-Spiegle Willcox Memorial JASS Bash has been revived and will feature Ray Skalski’s Jambalaya Jazz Band from Buffalo at 4 p.m. Sunday, May 22, at Pensabene’s Casa Grande in Syracuse; jasscny.org.